The man's actions have been described as "unthinkable and despicable" by the RSPCA. The project allows anyone over the age of 18 to take their drugs to the clinic without the fear of being arrested. 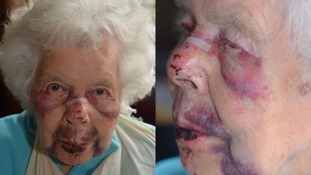 The elderly woman suffered a broken nose, fractured wrist and severe bruising. The hospital's emergency department has been closed overnight since July 2017 because of a shortage of doctors. Armed police were called to Weston-super-Mare after a man was found dead on the pavement. Officers cordoned off Wadham Street in the town centre last night when residents reported hearing a gunshot. But it was later confirmed that the man had not been wounded by a firearm. A police spokesman said the death was being treated as suspicious and investigations were continuing. 120 people were forced to leave the ice rink at Weston-Super-Mare after a suspected electrical fire in the food court. 120 people had to leave an ice rink after a fire broke out in Weston-super-Mare. Eight firefighters tackled the blaze at the Tropicana.